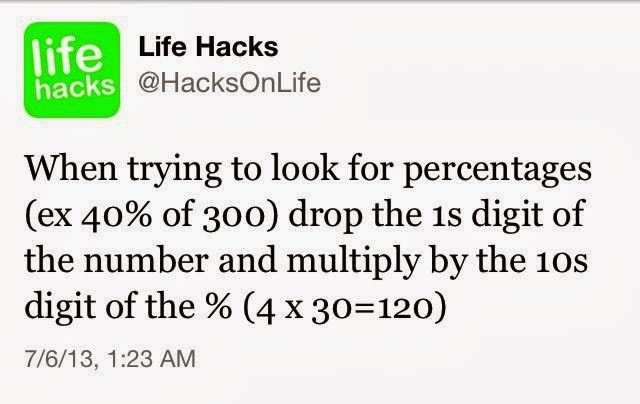 7 Math Hacks That Will Change Your Lives! "I'm really bad at math." How many times have you heard that? 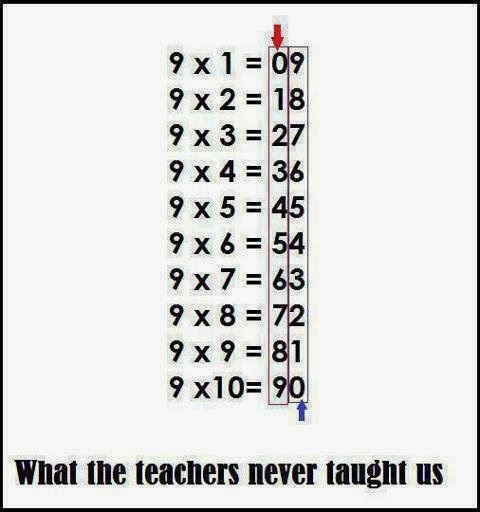 Yet, basic math is one of the most useful subjects we ever learn in school. 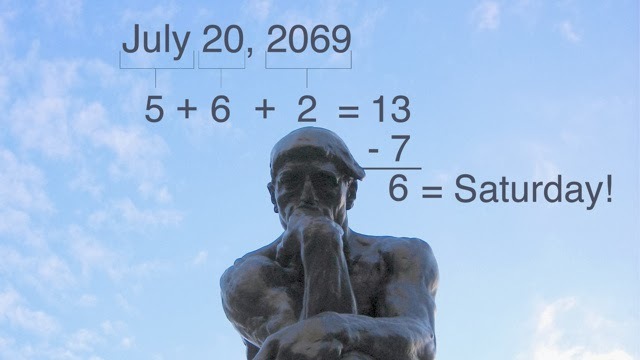 Some have even said numbers are the secret to the universe! That aside, some of us have a lot of trouble with specific tasks and, with the rise in smartphones, we all have calculators with us on the go. But what about those rare moments we don't? 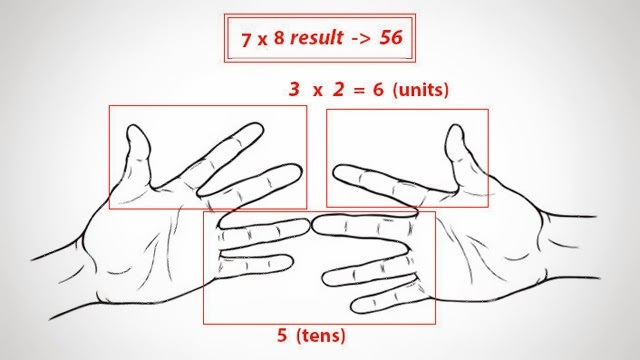 Here are 7 math hacks that will change your lives. Never be caught looking bad again...EVER. 1. Multiples of 9 works in reverse order! 2. 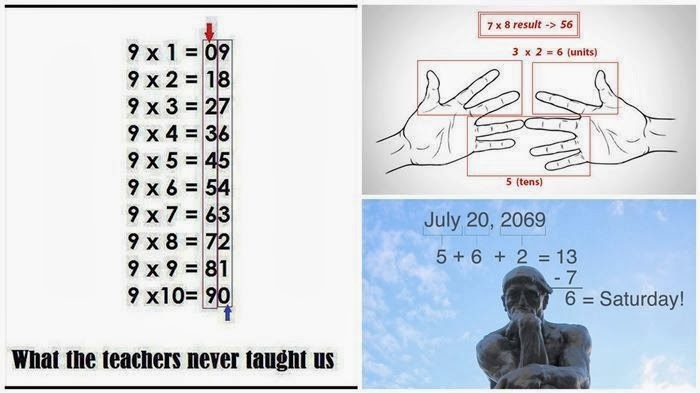 Your hands can tell you the future ... okay, fine, it can tell you multiples of 6, 7, 8, and 9! 3. 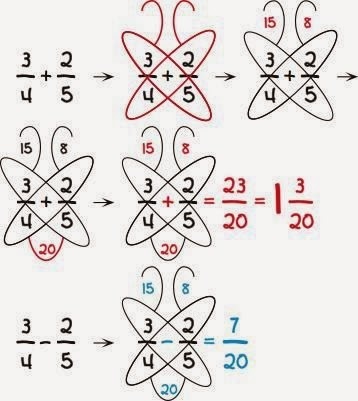 Butterfly method for adding and subtracting fractions! No fighting over pizza anymore! 4. Reverse Zorro! 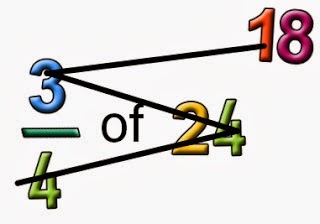 Starting at the bottom, draw a line from the 4 to the 24 (4 goes into 24 six times). 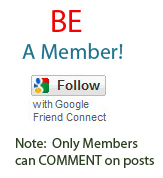 Draw the line to the 3 (six times three is 18). Draw the top line and write the answer. 4. Know what date will fall on what day of the week any time ... GENIUS! 5. 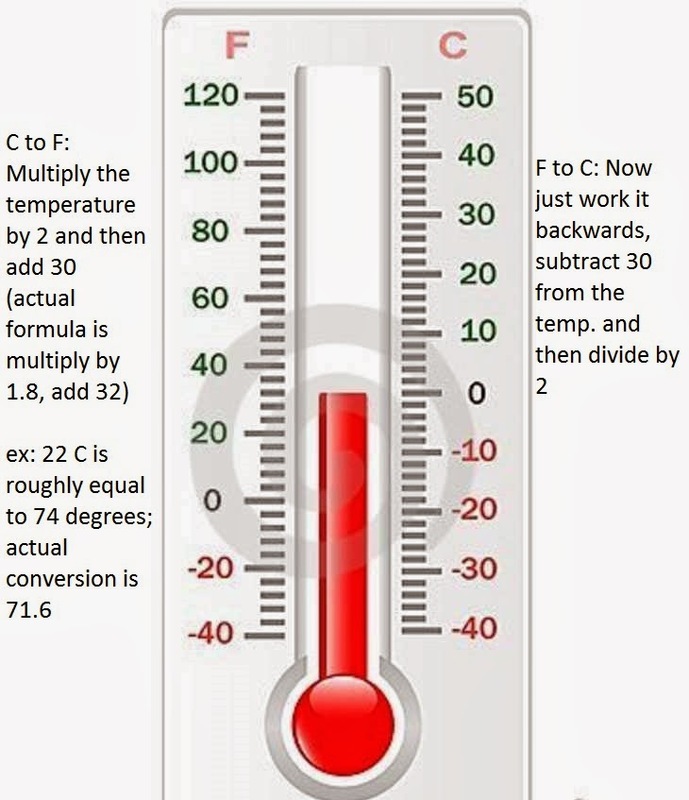 How to convert Fahrenheit to Celsius and vice versa all in your head! 7. 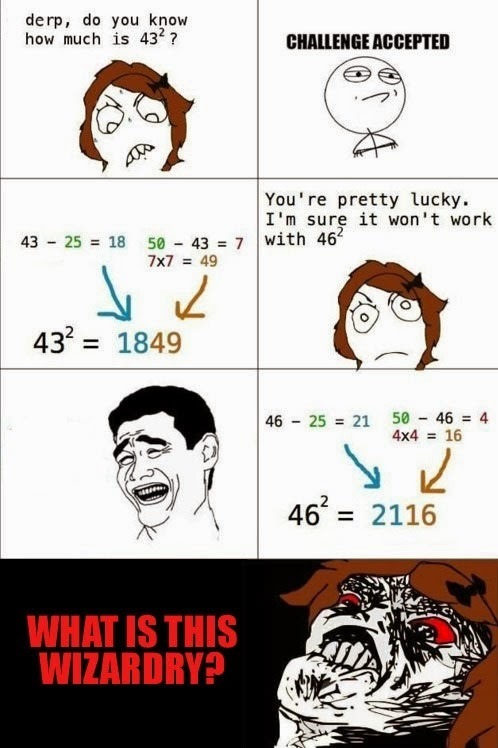 My exact reaction when I actually learned this. Mind. Explosion.